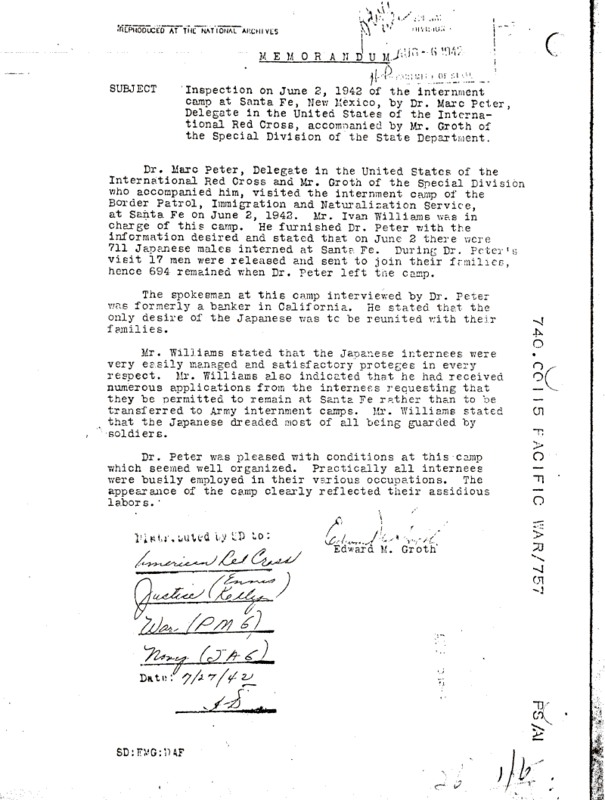 Document Notes: Early report on an Internment Camp for enemy aliens (Japanese citizens). Later families were united. The conditions at Santa Fe contrasted starkly with those in camps in the Philippines holding American citizens.